As more and more customers choose to pay with debit cards, credit cards, and contactless payment options, the red tape that merchants face can become daunting. Some merchants—especially restaurants—are choosing to simplify the sale while saving money through cash discounting. Cash discounting is when a merchant allows a customer to receive a discount when he or she is paying with cash. Each time a merchant accepts a card payment, most likely they’re paying two fees: a contract fee to engage with the credit card processor who processes their transactions and an additional fee each time a card is charged—a transaction fee. When a consumer pays in cash, the cost of the transaction for the merchant is lower (and sometimes nonexistent). Because of this, many merchants offer discounts for cash paying customers. In this scenario, a merchant chooses to reduce the total bill if a customer pays with cash (instead of increasing the bill through a surcharge or convenience fee if a customer pays with a card). WHO SHOULD USE CASH DISCOUNTING? Most merchants want to spend more time doing the job or providing the service—whether at an auto repair shop, a spa, or a local deli—and less time worrying about payment processing, transaction fees, and chargebacks. Some merchants are more ideal for cash discounting programs than others. For in-person transactions, cash can save time (no signatures or PIN numbers) and money (no credit card fee or potential future chargeback). 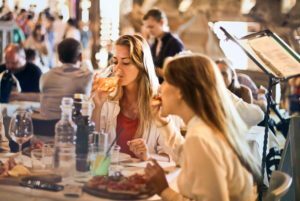 For this reason, many restaurants, coffee shops, delis, and take-out shops are opting to offer cash discounting to customers to cut back on unnecessary fees. 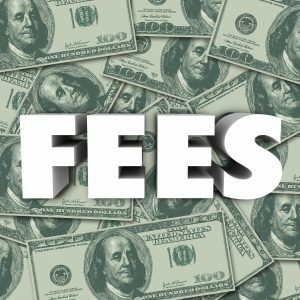 Businesses often pass along some of the fees of their merchant account to customers directly so that credit card processing fees don’t cut into their profit margins. Merchants do this usually in one of two ways: increasing the cost of items pre-sale and implementing a cash discount OR adding a convenience fee to card purchases. With cash discounting, customers who make card purchases aren’t penalized for use of the card, but all customers are incentivized to choose cash as a payment option. Cash discounting is legal in all states and isn’t subject to regulations. Credit card surcharges aren’t legal in every state. Merchants would need to check to make sure their state allows for a surcharge. Debit and prepaid cards may not be surcharged; only credit card purchases may be surcharged, and then only under certain circumstances. Adding a credit card fee requires additional communication with the credit card network and with customers. Merchants who intend to surcharge must register with the issuer and acquirer, as well as making the fee as transparent for customers as possible (at the point of sale, on the receipt, etc.). There are caps to the amount a merchant is allowed to surcharge. For many reasons, cash discounting is a more attractive option for restaurants and other local food-industry shops. Most transactions they complete are ideal for cash discounting, and implementing such a program helps save on associated cost of processing fees. In order to accept credit cards, restaurants are usually paying two fees—a base fee to a card network to process the payment, as well as a transaction fee each time they accept a card as payment. 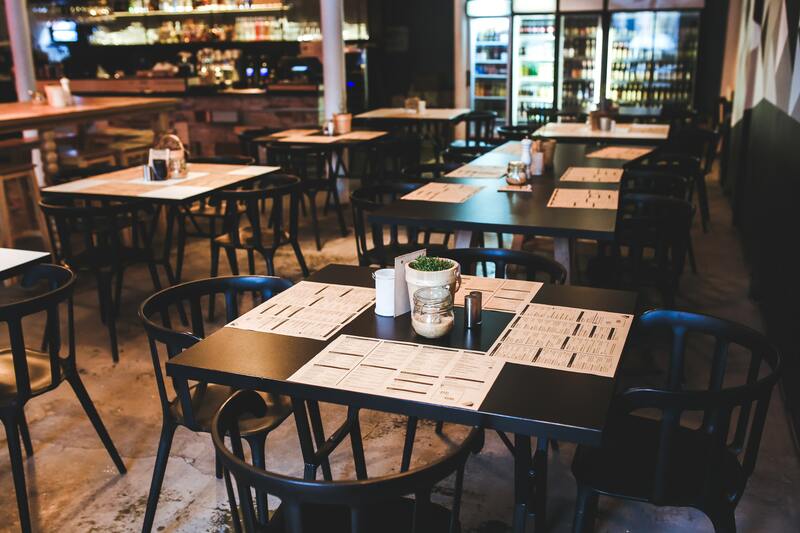 By encouraging customers to pay with cash, restaurants are able to eliminate the transaction fee, and in some cases, pay a lower base fee to processors. Restaurants are more easily able to implement cash discounting than a surcharge program in most cases. Usually, restaurants either make a notation somewhere on the menu (and at point of sale) that menu prices reflect the cash price of the item (indicating that the cash discount is already reflected) OR they raise the price on all items in order to offer a discount when a customer pays with cash. Cash discounting can be a set percentage (three percent of the total, for example) or can be a set amount ($0.25 off the bill, for example). Most restaurants determine their cash discount by studying their sales (average ticket cost, cost of menu items, etc.) and finding discount point high enough to incentivize customers (while still being cheaper than the alternative card processing fee). When a discount is offered, more customers are likely to pay with cash if they have it on hand. Although cash payments are only easier for restaurants in some ways, usually the benefit of combatting transaction fees and eliminating chargebacks provides reason enough to deal with the negative aspects of cash transactions (counting, depositing, employee accountability). Encouraging cash payments also help merchants cut down on the number of possible chargebacks they incur. A chargeback is a reversal of a credit card charge enacted by the card-issuing bank at the request of the cardholder. Often, if a customer is unhappy with an order or a particular service, rather than requesting a refund from the merchant, he/she will go directly to their bank and request a chargeback. Sometimes chargebacks are a result of identity theft or fraud, but more often than not, chargebacks could be eliminated if customers were willing to mediate their complaint with the merchant first. In the food industry, a customer might request a chargeback from the bank if they dispute the bill total or have a disagreement about the items they were charged for. 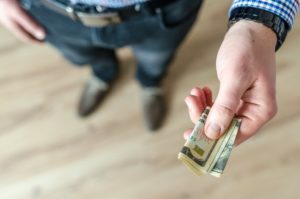 By incentivizing cash purchases, the merchant ensures that he/she has the opportunity to mediate the dispute first instead of getting smacked with exorbitant chargeback fees. 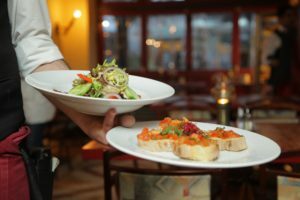 Although restaurants and food-related shops will still likely deal with chargebacks, cutting down on total card transactions helps fight the total number of chargebacks or disputes they have to deal with regularly. Cash discounting programs can offer strong incentives for food-related merchants as well as customers. 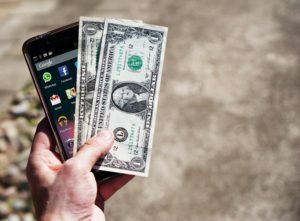 While customers are able to save some of the cash they’re spending by choosing not to swipe, merchants also win by reducing the number of overall transaction fees and potential chargebacks they incur. 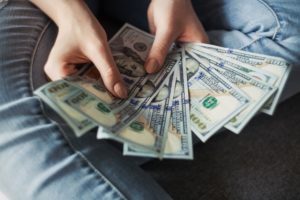 Cash discounting still has some negatives—cash flow management and reporting, for example, as well as overall perception of those customers who still prefer the card—but is worth reasonable consideration. In simplifying a sale and keeping transactions quick and relational, cash is still king. Why Are Magstripe Readers Becoming Obsolete?